This place is mean to store the documentation of the plugin piwigo-videojs. Feel free to edit it, any contributions are appreciated. piwigo-videojs main goal is to provide an easy way to play video recorded on smart-phone. Display your video using the only open source HTML5 video player VideoJS on your web gallery Piwigo. Display your video metadata as EXIF photo. 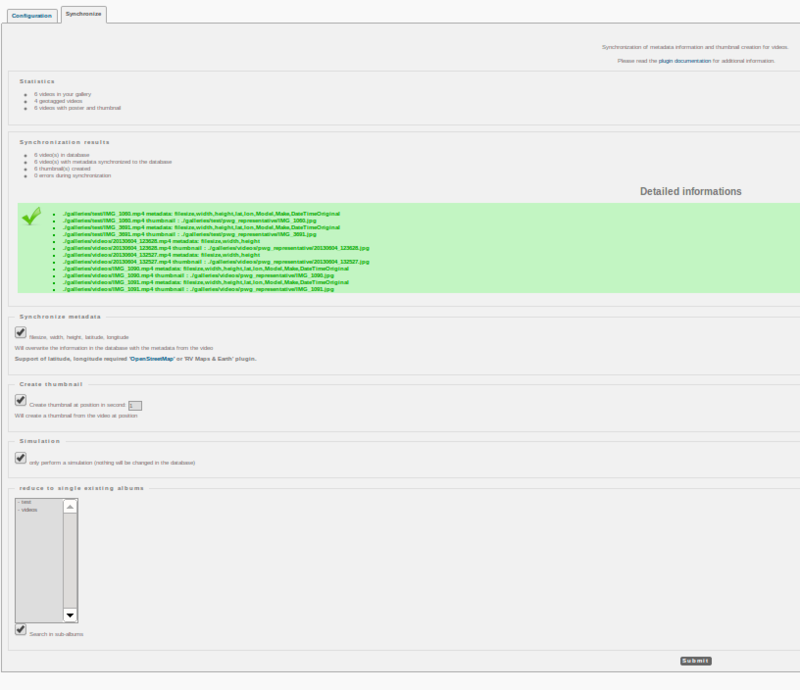 Integration with the PWG Batch Manager feature. Integration with the PWG Photo Edit feature. Customize the HTML5 video player VideoJS via settings panel. Synchronization of metadata and poster creation for videos. Configuration Tab. 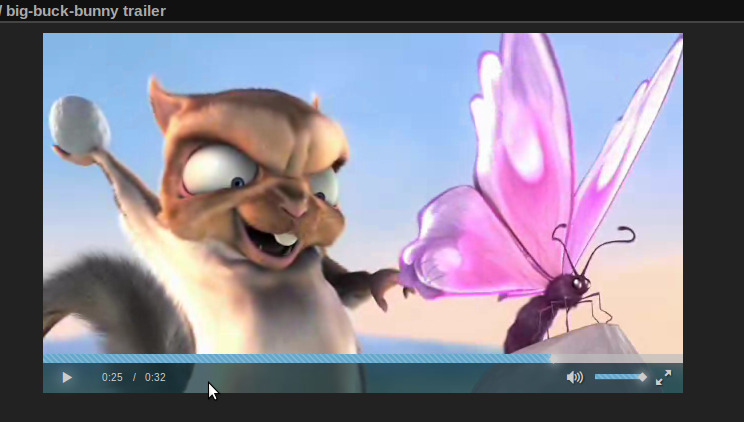 Details the video player customize menu and integration with my other VideoJS plugin. Synchronize Tab. Details the usage for the metadata synchronize menu and the poster creation for videos. The plugin support the 'Batch Manager' feature from Piwigo. It works in 'global mode' as well as 'single mode'. It integrate the automatic synchronization of metadata and poster creation for videos. The plugin support the 'Photo Edit' feature from Piwigo. It is split in 2 tabulations. The first tab call VideoJS display all (useful) metadata of the video as well as poster video source and thumbnail, etc related to the Piwigo integration. The second tab call Rotate allows to set the rotation parameter in the database. It appears only on video supported by the VideoJS plugin. It reads the value from the database. It is useful for video that does not include the rotation metadata. It is use in conjunction with the videojs-rotatezoom plugin. There is no action done on the video neither on poster. 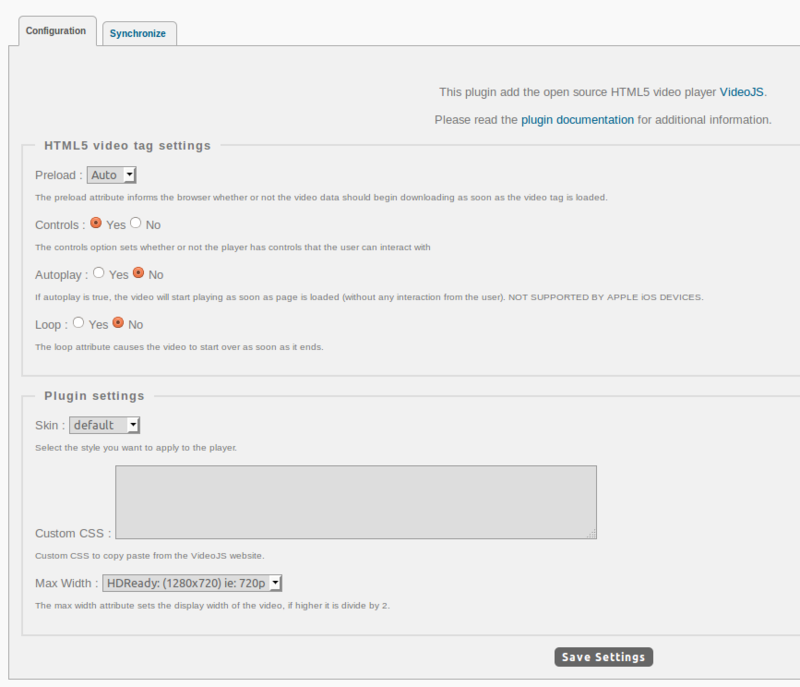 The plugin allow to customize the HTML5 video player setting and skins. 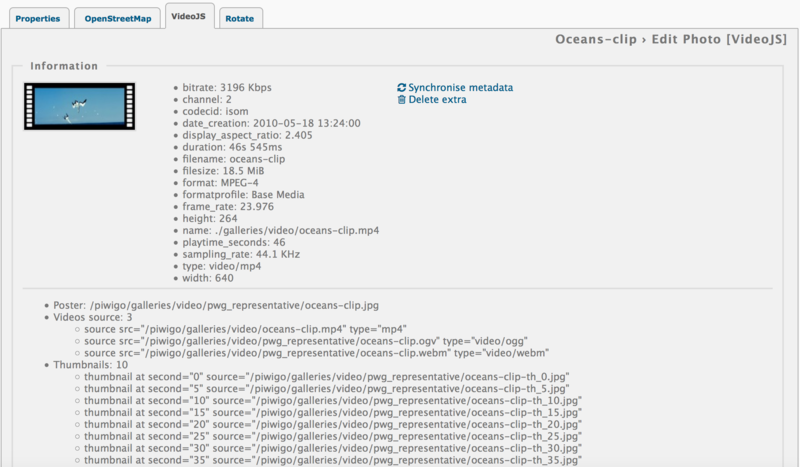 The plugin provide an automatic synchronization of metadata and poster creation for videos. Please check VideoJS Documentation for additional information.